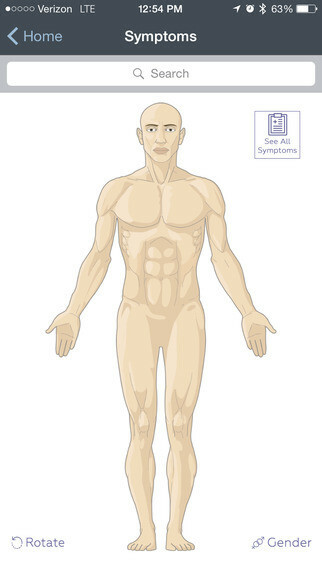 Use iTriage as a symptom checker, doctor finder, or medical dictionary tool. Created by two ER doctors, iTriage gives you quick access to a huge healthcare and medical database that is reviewed by Harvard Medical School. iTriage is a free app that puts you at the center of your healthcare so you can make confident decisions- anywhere, anytime. 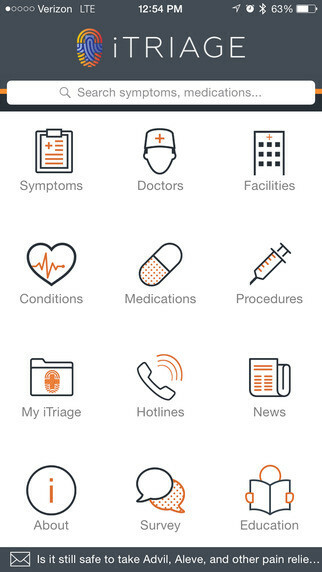 Search for health answers and find medications, diseases, and medical locations instantly. Over 12 million people have downloaded the iTriage app that has 4.5 star rating from over 100K reviews. Proprietary Symptom to Provider pathway: You can search symptoms, learn about potential causes, and then iTriage will help you find the most appropriate treatment, facility or doctor. Find the nearest hospital, emergency room, urgent care, retail clinic, pharmacy, physician, doctor, imaging center, mental health clinic, substance abuse clinic, and community health center. Check In from your phone when you’re on your way to select Hospital Emergency Rooms and Urgent Care facilities. Emergency hotlines, and physician and nurse advice lines.